A healthy civil society depends on people who are committed to their communities and who, at pivotal times, will put the common good before their own. The Harvard Prize Book (Singapore) award acknowledges and encourages altruism. Harvard was established in 1636 and is the oldest institution of higher learning in the United States. Harvard has a formidable reputation worldwide and has consistently been ranked among the top universities in the world. Amongst its graduates have been 48 Nobel Laureates, 32 Heads of State and 49 Pulitzer Prize winners. More than 1,800 alumni from Harvard College and its eleven graduate schools live and work in Singapore. Many of them are prominent people in business, academia, government and civil society. Harvard consists of Harvard College and graduate schools such as the Harvard Graduate School of Education, Harvard Business School, Harvard Law School, the Kennedy School of Government, and many others. Financial aid is available to all students who are admitted to Harvard College. Admitted students of any nationality whose annual household income is less than USD 80,000 are eligible to attend Harvard for free. 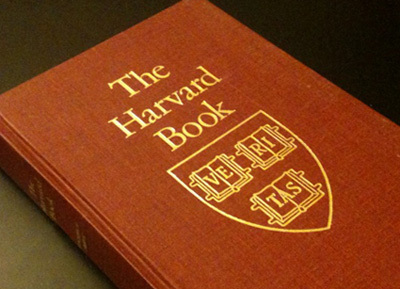 The Harvard Prize Book is intended to inspire students in Singapore with the idea that Harvard is an attainable institution of higher learning, and to connect students to the Harvard community in Singapore (not all of whom are Singaporeans, but include Harvard graduates who live and work in Singapore). The recipient of the Harvard Prize Book (Singapore) is a caring individual who has, over a sustained period of time (preferably more than twelve months), gone beyond the call of duty to perform acts of kindness and caring, and who may have influenced his or her peers or family members to do likewise. While a student’s academic results, sports or artistic achievements and leadership accolades can (but not necessarily) be part of the consideration for this award, we hope that this award will recognize students who may not have reached the same lofty achievements as those who are constantly at the top of the class, or constantly receiving awards, but whose altruistic spirit is an ideal that can be raised for other students. Academic achievements are already well lauded by other awards — instead, through this award, we hope to recognise a student with a notable promise of becoming a service leader. The award is open to students in the graduating year in participating schools who meet the criteria. Please do not hesitate to contact us at [email protected] should you have any enquiries.